After a long, cold winter, everybody’s ready to shake off the dust they’ve collected sitting on the couch and get out into the sunshine. Despite the chill in the air, experts say that summer is right around the corner. Feels like it’s hiding, doesn’t it? Some people like to coax out the warm weather by donning their favorite sundress or pair of shorts as soon as it hits April. Well, it’s almost June and we’re ready for the sun! Let’s remind summertime of all the possibilities warm weather brings. Take a stroll through Old Time Candy.com, and don’t forget your sunscreen! 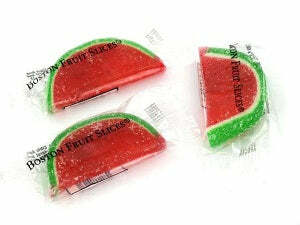 Who doesn’t love a cold slice of watermelon on a hot day? Nothing beats the heat better. Try this candy version to bring the heat out of hiding! With June comes raspberry season. Going to the farm and picking berries is a great kickoff to the summer weather. Can’t get to the farm? 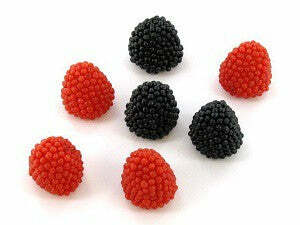 Bring the season to you with candy raspberries and blackberries! 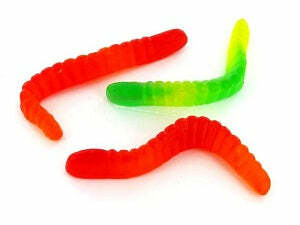 Remember worms and dirt? Not the real ones! The delicious cup of chocolate pudding and oreo “dirt” with plenty of squiggly gummi worms inside! Pick up a few pounds of gummis to make this summer camp treat in spite of chilly days! It seems like summertime might need a little convincing to show up to the party. In the spirit of rebellious dresses and spiteful shorts, Old Time Candy has plenty of summer treats to bring on the new season! Let us know your favorite summertime activity by writing in the comments below!